Traveling to Eastern Europe with a congregational tour is nothing like traveling to Israel. It is one thing to be greeted gruffly by an El Al security guard or bumped aside by a Jewish grandmother trying to be the first to the overhead bin; it is another thing altogether to be identified so easily as an outsider. Okay, maybe it is just in my head. But that’s the only place that really matters as I reflect on the meaning of this trip to Warsaw and this growing feeling of anticipation. I am a Jew. I feel it most acutely when I am traveling abroad, especially headed for Poland. I am identified by my language, my idioms, my jeans and my kippah. My conversation with the person next to me invites curiosity, apologetics, perhaps a touch of pity (and a measure of resentment?). Must we live in the past? Must we dwell on the horrors? Must we constantly remind others of our suffering? Must we be so overtly distinctive? And yet, as I go through customs to board the plane from Frankfurt to Warsaw on this morning, I have never been more proud to be a Jew. I am a Jew. And I am headed back to the place where it was made clear, on more than one occasion throughout the history of Europe, that the Jews were not wanted. I am soon to set foot in the land of my grandparents’ birth, the site of my namesake’s death. (My great uncle Shmiel was an officer in the Polish army. He died in World War II defending his home, even while his wife and children were buried alive there. The rest of my family escaped to much brighter futures, while he chose to stay behind.) Still, I ask myself as a Jew, what is my mission? I am a Jew. So I will go to the ancient synagogue, and I will see the restored town center, and I will visit the Jewish cemetery and the site of the ghetto. 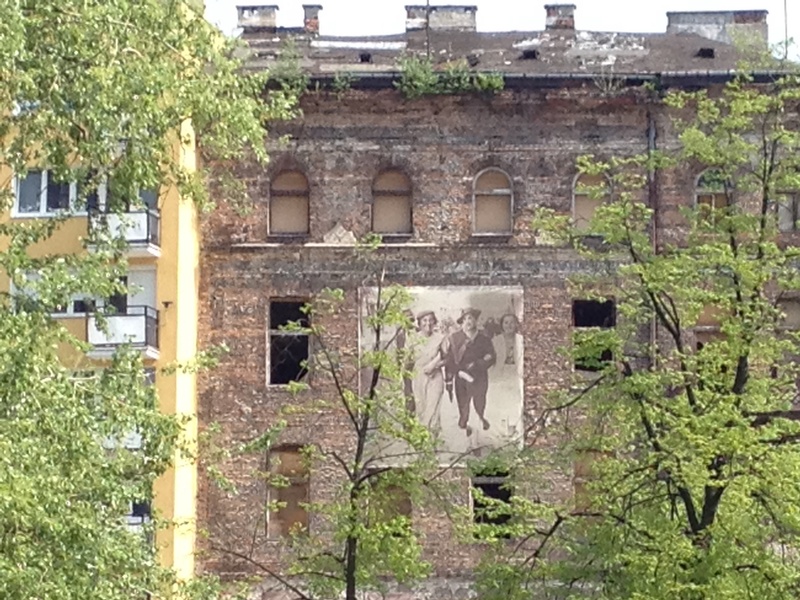 I will struggle with the significance of an enlarged photo of long-gone Jewish life decorating a remaining ghetto facade in the middle of a bustling city. But I will also pray with the new Warsaw Jewish progressive community. And I will share Shabbat dinner with hundreds of others from around the world sharing my journey. And I will make Shabbat in a place that is not my own, but guard it dearly nonetheless. I am a Jew, and I am here. In spite of history and to spite history. In the name of my family and in revenge for the atrocities. In solidarity with my community and in testimony to the world. In prayer for humanity. Sh’ma Yisrael, Adonai eloheinu, Adonai echad.